By day in New Orleans, conventiongoers are all business, attending meetings and workshops and checking out new products on the exhibit floor. 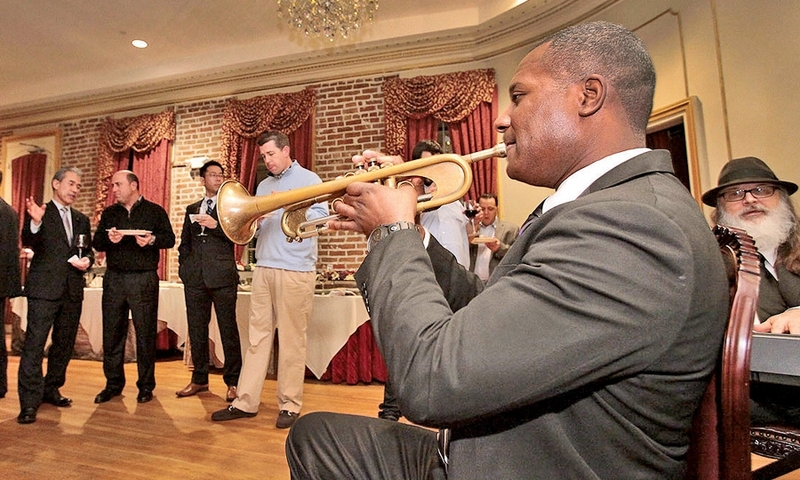 Twisted Dixie trumpeter and vocalist Brice Miller performs "What A Wonderful World" in the Cotillion Room at Muriel's during the Subaru reception. At left is Subaru of America CEO Takeshi Tachimori. 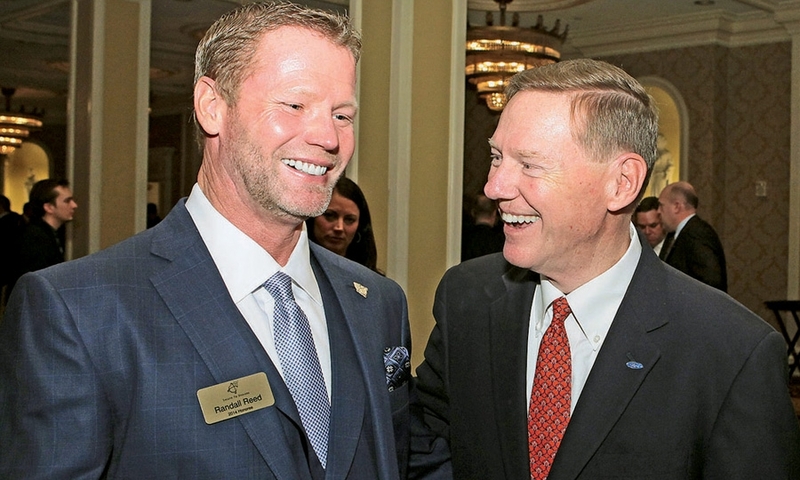 Ford CEO Alan Mulally, right, congratulates Ford Salute to Dealers honoree Randall Reed of Randall Reed's Planet Ford in Humble, Texas, at a reception in the Waldorf Astoria Ballroom at the Roosevelt Hotel. 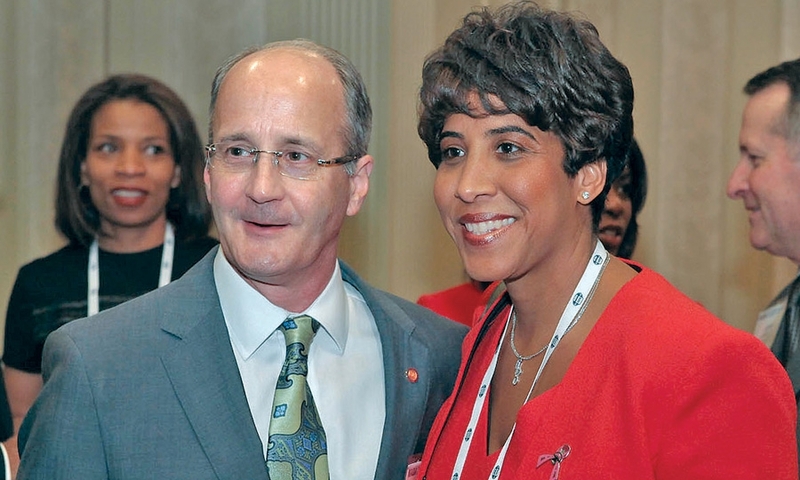 2014 NADA Chairman Forrest McConnell III and 2013 AIADA Chairman Jenell Ross enjoy the NADA Minority Dealer reception at the Windsor Court Hotel. 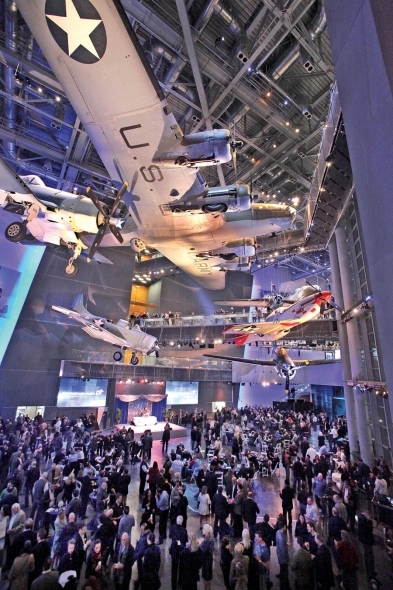 Dealertrack Technologies guests experience The National WWII Museum. 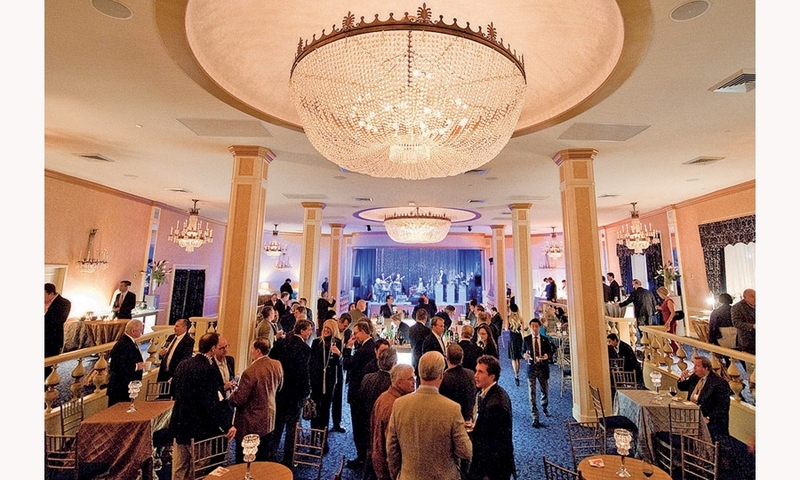 Jaguar Land Rover North America hosts a reception for its dealers in the Blue Room of the Roosevelt Hotel. 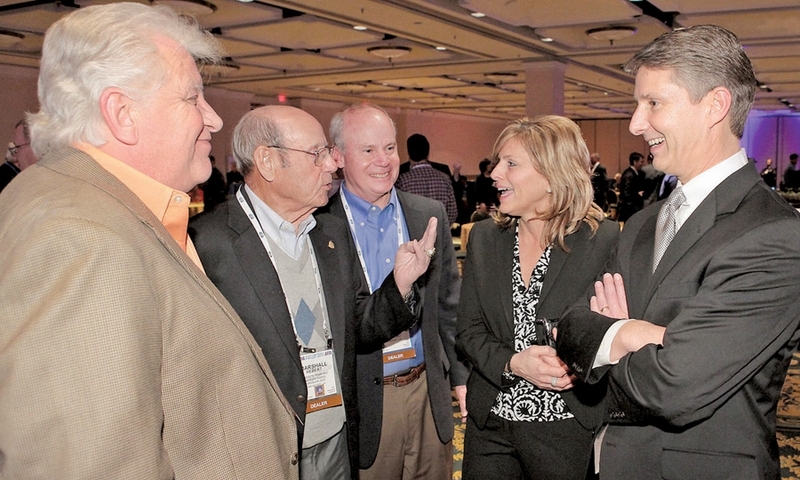 From left, Lucky Britton, Marshall Hebert and Mark Hebert of Hebert's Town & Country in Shreveport, La., chat with Freda Bane-Prastitis, director of Chrysler Group's MarketCenter Operations, and Al Gardner, Chrysler brand chief, at the Chrysler reception. But by night, they go out on the town and have fun at the many receptions and other social events.